Purpose of making this system is to provide more facilities to mall owners to get efficient business communication with shop keepers. Mall management is a well formulated concept in developed countries which are more matured markets. Mall management largely encompasses several activities that go into the maintenance of the mall. This covers facilities management functions, operation management, marketing management, accounts management and customer service. It is basically a combination of services that factor in people, place, processes and technology in a particular building. 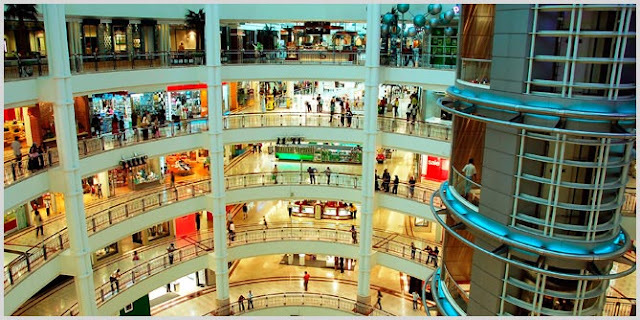 Professional mall management results in the best possible utilisation of resources available. Mall management begins with taking care of issues such as positioning, tenant mix, infrastructure facilities, the kind of environment required and finance management, which is the most crucial part of all. It also takes care of issues like positioning, zoning that include tenant mix and placement within mall, promotions and marketing. The system should be able to run on any system regardless of the operating system or hardware; within reason. User Friendliness is the main focus. Ensuring minimal down-time due to the critical nature of the system. Long term maintenance and diagnostics coverage. new, naive as well as experienced users of the computers. The Mall owners who will be using our product will have a basic familiarity with personal computers and a working knowledge of systems with graphical user interfaces. The Mall owners are not assumed to have any understanding of networking or file transfer methods.The only specific information the travel agents are required to have is the name of the server they wish to connect to, a log-in name, and a password if the remote server‘s security configuration demands it. -Here admin should have one option that he can create another admin and allocate different rights to that person regarding website operations. -Admin can define schemes for shopkeepers so they can attract to more invest. -By using his own email panel admin can mail any one added to his address book on website. -Admin can add terms and condition as well he can change them and delete them. e. Admin can view all feedback and Inquires. f. Admin can add contact details. -In cases of opening a new mall and defining any new schemes admin can add or delete and modify the contact information. -if user is not log-in he will not able to show all details on website. c. User can see the due payment details of all shops. -user can see all due payment details of all their shops in different malls. d. User can see advertisement policy of mall. -user can see all advertisement details of malls.